Copy of a letter sent by Thomas Sobottke to Governor Scott Walker and GOP legislative leaders in response to news that an eleventh hour budget resolution passed to restrict the ability of Wisconsin citizens to access a host of public records, previously open as part of Wisconsin’s now dead proud tradition of reform and honest clean government. 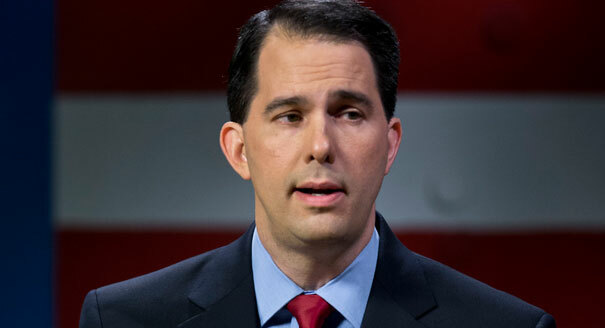 Once again Walker and his minions act at the very last moment to do something no one was expecting, that in turn greatly harms good and honest clean government in the State for all of us on a non-partisan basis. As a citizen of the United States, and of the State of Wisconsin upon this latest edition of our declaration that we were, and we now remain, a free, independent nation from Great Britain, with no allegiance to it or to any other nation state, I read in my newspaper that the final vote in order to pass the State’s Biennial Budget included an eleventh hour resolution making sweeping changes to Wisconsin’s proud tradition of keeping public records open to its citizens so they may know what state officials do in their name has ended. This question is not a partisan one at all. It does, however, bear upon what we the citizenry of this State will know about the duly elected government and officials serving in public service have done, or failed to do. I am just as anxious to know what Democrats have done as Republicans, for the principle here is a fundamental one of good and honest civic government. The passage of the budget resolution on public records and documents has been done with Wisconsin citizens not aware it was coming at all. It gives the rank appearance of an effort to cover up that which is unethical or outright illegal by statute, so though those now in power have something to hide. My people come from Plum City, Wisconsin and I now reside in Pewaukee, Wisconsin as I have done for some 24 years. I have learned a great deal at two of our Badger State’s public universities, one private, and have taught my American history and government students of the Wisconsin Idea and just how Wisconsin led the nation in reform and honest clean government. I can no longer teach that at all. As it turns out, this unusually transparent and fair dealing government we have had was a product of the Republican Party, and central to its tradition and accomplishments for our State. In later years, Democrats continued upon this reform path and offered many measures that were later adopted in many of the other States of this Union, making this a bi-partisan effort. Let me register my undying and complete opposition to this execrable measure, and disgust at the legislators and governor who carried it. I’m embarrassed for our proud State, and have found myself so on a number of occasions when fair dealing honest and open government was called for and found wanting. As a trained journalist, previously active in reporting the news in our fine State, and that of Nebraska, I reveled in our fine open meetings law which I dare yet hope has not been touched by this resolution. Yet there are so many documents that are not just the property of the public servants who generated them in the course of the public’s business, but also belong to the citizens who elected them to do that which we ourselves are unable to do in the course of our own vocations. The entire direction of Wisconsin government since 2011 has been that of obfuscation, deceit, and a whole lot of smoke where we need to determine if there is a fire under it. I cannot tell you how deeply disappointed I am. It has left me contemplating leaving the State for good. I do not wish to be identified with so much perfidy, and jockeying for partisan advantage. Was it the Democrats, I would be equally filled with loathing and disgust. It could very well be just that in future years. Please reconsider this decision, and examine your own consciences, and then perhaps, you will do the right thing for all the people of the State of Wisconsin. The best test for the rightness and propriety of all you do is that it will stand up to full scrutiny. Let that guide you. This entry was posted in Community and Citizen Action, It's About Struggles for Justice, National Affairs and tagged Assembly Speaker Robin Vos, deceit, fire, good and honest clean government, GOP legilasture acts to retrict acess to public records, GOP Obfuscation in Wisconsin, Governor Scott Walker, mirrors, Open Records access, Scott Walker, Senate Majority Leader Scott Fitzgerald, smoke, Walker at it Again, Wisconsin, Wisconsin GOP Restricts Access to Public Records. Eleventh HOur Budget REsolution, Wisconsin Idea. Bookmark the permalink. Wisconsin has long enjoyed a progressive reputation on its approach to state government. What a sad turn on state history. Curious on where you would move in search of an open, honest state government that budgeted to help their neediest citizens. I also wonder if Wisconsin Dems will one day undo this harm – I expect not, they will find the darkness to their own liking. Precisely Les. The biggest problem is that the Republicans have both houses in the legislature, the Governor’s Chair, and a 4-3 majority on the Wisconsin supreme Court. IT means they can do whatever they want. When either party has that kind of a lock on the State bad things are going to happen. IT is an arrogance to avoid what is best for citizens. Thanks for the comment.